Margaret* brings thought and careful consideration to the table. 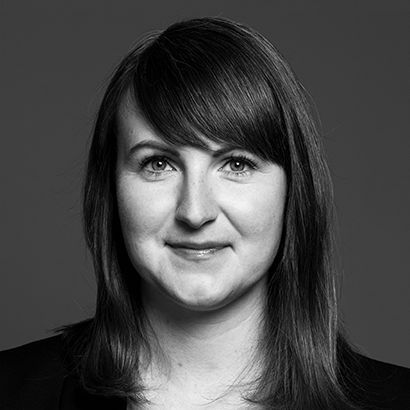 Prior to joining Lenczner Slaght, Margaret gained insight into judicial-decision making with a clerkship at the Federal Court of Canada. Margaret always digs§ into cases, focusing on the root causes of legal issues and understanding what is important to her clients. Margaret relies on her experience to look deeper‡ into legal disputes. During law school, she participated in the Intensive Program in Aboriginal Lands, Resources and Governments, living in rural Belize and working with Mayan communities. This experience gave her the opportunity to practice community-based lawyering with an emphasis on understanding the varied needs of different clients. Before attending law school, Margaret did her digging more literally, as a farmer on her family’s organic farm in Saskatchewan. .
Margaret has a general litigation practice, with a particular interest in professional liability, class actions and administrative law. Margaret has appeared before several levels of court, including the Court of Appeal of Ontario and the Superior Court of Justice. Prior to joining Lenczner Slaght, Margaret clerked for the Honourable Justice Mandamin of the Federal Court of Canada. During law school, Margaret participated in the Intensive Program in Indigenous Lands, Resources and Government. Through this program she worked in Maya communities in rural Belize on land and resource management issues. She earned numerous awards while attending law school, including prizes in constitutional law, legal ethics and legal research and writing. Counsel to the plaintiff in a certified class action related to timing chain tensioners. Counsel to the Vintner’s Quality Alliance in a judicial review of the rules and regulations pertaining to the approval of wines in Ontario. The VQA was successful before the Divisional Court. Counsel to the plaintiff in a certified class action related to emissions technology. To what extent can, or should, courts review decisions by government decision-makers? Administrative law is all about finding the right balance. The Supreme Court of Canada announced this spring it has plans to revisit that balance and the standard of review for administrative decisions in a trilogy of cases to be heard by the Court in the fall of 2018. Its recent decision in West Fraser Mills Ltd v Workers’ Compensation Appeal Tribunal and Workers’ Compensation Board of British Columbia, released last week, might hint at how. It says something about Canada that many famous cases throughout Canadian legal history relate to the regulation of alcohol. Through the early 20th century, the regulation of alcohol was a fertile domain for disputes about Canadian federalism. Now, in the 21st century, the complicated regulatory scheme of governing alcohol sales in Ontario is once again making new law. This time, however, the dispute is not over arcane principles of federalism, but rather over the scope of the regulated conduct defence to conspiracies under the Competition Act. While early 20th century federalism cases may be of interest to only a select few, the decision of the Ontario Superior Court of Justice in Hughes v Liquor Control Board of Ontario is likely to attract significantly broader interest, particularly among companies operating in regulated industries. Since the introduction of ride sharing technology such as Uber, a legal dust-up with traditional taxi drivers and brokers seemed inevitable. Perhaps less predictable was the form that dispute would take. In Metro Taxi Ltd. v. City of Ottawa, the Court considered a certification motion for a class action brought by taxi license plate holders and brokers against the City of Ottawa for their regulatory handling of the introduction of Uber, claiming both negligence and discrimination.